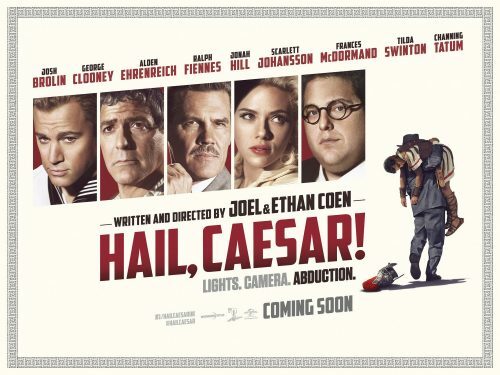 Hail, Caesar is the new film from the Coen Brothers. It does star all the usual suspects as well as Joel’s wife. That being the Oscar winning Frances McDormand. We have just been sent over the new poster for the film. It’s very reminiscent of an earlier Coen Brothers film. If you’ve missed the trailer then just head over here to see it.